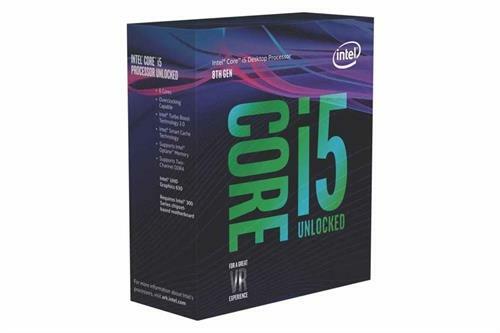 Intel Core i5 8600K Hexa Core 3.6 Ghz LGA1151 Coffee Lake Processor - 9MB SmartCache, Intel UHD Graphics 630, Graphics Base Frequency @ 350 MHz, Graphics Max Dynamic Frequency @ 1.15 GHz, Retail Box , 3 year Limited Warranty. The Intel Core i3 processor is the perfect entry point for a fast, responsive PC experience. This processor comes equipped with Intel HD graphics, an advanced video engine that delivers smooth, high-quality HD video playback, and advanced 3D capabilities, providing an ideal graphics solution for everyday computing. Do not let too many open applications slow you and your PC down. Get smart performance now. 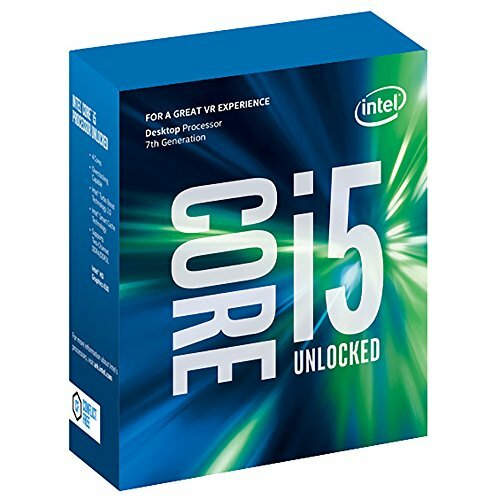 Intel Core i5-7600K (BX80677I57600K) Kaby Lake Dual Core 3.8Ghz LGA1151 Processor (6M SmartCache) - With intelligent performance that accelerates in response to demanding tasks, such as playing games and editing photos, the Intel Core i5 processor moves faster when you do. 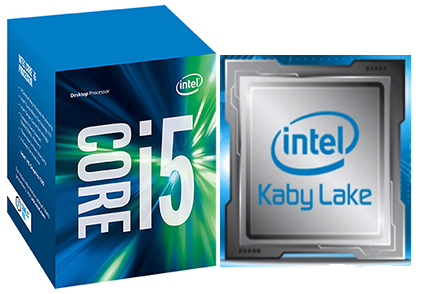 The Intel Core i5 processor automatically allocates processing power where it's needed most. Whether you're creating HD video, composing digital music, editing photos, or playing the coolest PC games - with the Intel Core i5 processor you can multitask with ease and be more productive than ever. 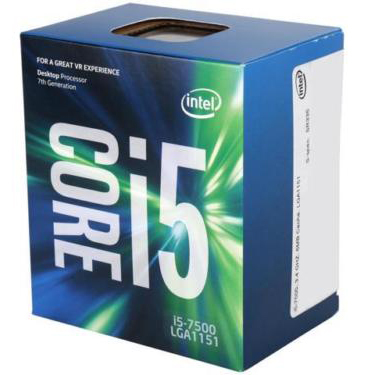 Intel Core i5-7600 Kaby Lake Dual Core 3.5Ghz LGA1151 Processor (6M SmartCache) has a base clock speed of 3.5 GHz and comes with features such as Intel Turbo Boost 2.0 technology. With Intel Turbo Boost 2.0 technology, the maximum turbo frequency this processor can achieve is 4.1 GHz. 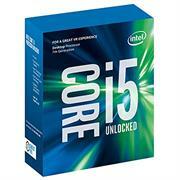 Additionally, this processor features 4 cores with 4 threads in an LGA 1151 socket and has 6MB of cache memory. Having 4 cores allows the processor to run multiple programs simultaneously without slowing down the system, while the 4 threads allow a basic ordered sequence of instructions to be passed through or processed by a single CPU core. This processor also supports up to 64GB of DDR4-2400/2133 and DDR3L 1600/1333 RAM at 1.35V, has AES New Instructions, 14nm lithography, and utilizes 7th Generation (Kaby Lake) technology. 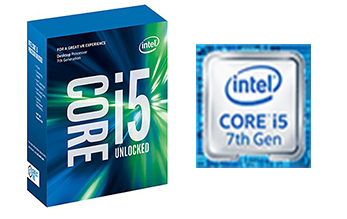 Intel Core i5-7500 (BX80677I57500) Kaby Lake Quad Core 3.4Ghz LGA1151 Processor (6M SmartCache) has a base clock speed of 3.4 GHz and comes with features such as Intel Turbo Boost 2.0 technology. With Intel Turbo Boost 2.0 technology, the maximum turbo frequency this processor can achieve is 3.8 GHz. 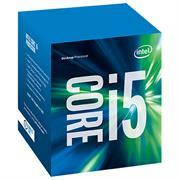 Additionally, this processor features 4 cores with 4 threads in an LGA 1151 socket and has 6MB of cache memory.